Chris Saltz is the Managing Principal of FIX Consulting LLC, a Los Angeles-based software & facility technology consulting, design, and design/build firm. He has 30 years of experience in mechatronics (mechanical, electrical, and computer/electronics engineering). A highly-decorated US Navy Submarine Warfare Officer, Chris has a mechanical engineering degree from Auburn University, and a nuclear engineering degree from the Navy. Before FIX, his experience included operating and maintaining complex systems on US Navy nuclear submarines, global strategic naval combat missions, and the management of several field offices for Fortune 500 technology companies. FIX is an innovative leader in consulting and program management for an assortment of growing and ever-changing information technology markets. Established in 2000 with offices in Los Angeles, San Francisco, Chicago, and New York, FIX engages building owners in ways that the traditional design and construction industry simply cannot. 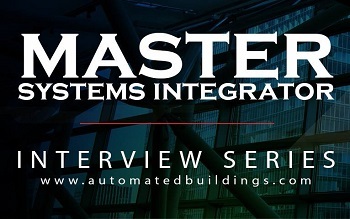 As building controls evolved in the 1990’s, the need for systems integration became obvious. FIX Consulting was established with this very need in mind and has been crucial in guiding building owners, architects/engineers, and contractors in designing and installing more intelligent and integrated building systems. With nearly 3,000 individual technology installations to date, our team has earned decades of knowledge and experience in building monitoring and controls. Today, this expertise is evident in all our practice areas: Master Planning, Data Management, Software Solutions, Technology CM, and Cost Controls. Scott Cochrane of Cochrane Supply & Engineering has the unique benefit of working with 300+ of the best systems integrators in the country. Cochrane recognizes the critical role they have within the building automation industry and is speaking with a different highly-regarded MSI each month with the goal of providing examples of industry trends, best business practices, and the growing value of an MSI. This month, he interviews Chris Saltz of FIX Consulting LLC. This month he interviews Chris Saltz, Managing Principal of FIX Consulting LLC. Saltz: FIX was established in 2000, a few years after the formation of Tridium (now a Honeywell company). The company was an off-shoot of a traditional building controls contractor, as the owners saw an emerging trend...the need for expertise in integration. Saltz: Our clients expect our firm to be IT and software experts, as well as having the necessary domain knowledge of a growing list of building systems. This is a very difficult “total core competency” to build. Traditionally, IT experts do not have the domain knowledge to, for example, implement sequences of operations for a complex central heating & cooling plant AND add the lighting controls to the same software package. And a good MSI will have an internal culture of “continuous learning”; you just can’t survive today on the technology or knowledge of last year. Saltz: Our firm focus on the end user; the various stakeholders that need the information from these building systems to make decisions for their business/department. Currently there is exponential growth in the number of organizations reaching out to firms like ours to aid in the transition from multiple, disparate, proprietary, complex systems to user-centered software applications that are simple and powerful at the same time (like the complex algorithms of Uber working behind the scenes to get a rider from A to B quickly, safely, and inexpensively). Saltz: This is probably the most varied aspect of our firm, as there is no standard (or even industry-accepted process) for procuring “integration.” As IP-based technology is rapidly being released by OEMs in every building system, the scope of integration is currently changing at a pace of the likes we haven’t seen (and which also can’t be addressed in a two- to four-year design and construction cycle). The majority of our integration work is owner-direct (typically after construction). In some cases, we are a Division 25 lump sum bid contractor, but this is rare. But the answer is, if there’s a structure out there, we’ve done it. Saltz: There are challenges throughout the lifecycle of an MSI project; in design, procurement (as discussed above), implementation, and day-two support. We are geographically challenged at the moment, as the demand for MSI’s is greatly outpacing the number of qualified firms (and it is difficult, for me personally, to turn down work). We can address many of the service and support issues through remote system access, but great customer service still involves “being present.” Another great challenge is the “internet search-educated client.” The clients are certainly more informed than ever before in our firm’s history. Typically, our first challenge is to walk back the belief (driven by OEM marketing) that everything is “open” and “non-proprietary.” There are technical challenges (protocols, operating systems, infrastructure compatibility), but often the greater challenge is the marketplace (OEM software tool and training availability, and the number of local firms that are qualified with these tools). Cochrane: Up until now, we have only interviewed contractors as MSIs—how would you describe your role as an MSI being different than a contractor’s role as an MSI? Saltz: As mentioned above, FIX has built a team around individuals with complementary skills in IT, software, and building systems. Combined with facility “business consultants” and program/project management professionals, we are providing design/build technology program management. Every project also has a unique mix of partners, based on the client needs.